How do we let our faith shape and be shaped by the passage of time? Richard Rohr is a Franciscan teacher and founder of the Centre for Action and Contemplation in Albuquerque. He has a worldwide ministry and is the author of numerous books. Many of them have strongly scriptural themes. In recent years his attention has been drawn to the development of our inner discipleship. What is it that strengthens our convictions? How do we let our faith shape and be shaped by the passage of time? Eager to Love is the summit of this output. 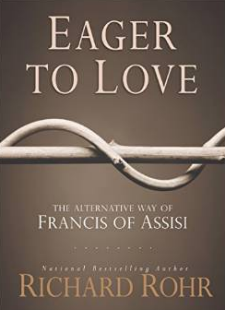 He bases his material firmly in the life of his mentor Francis of Assisi. Whilst its North American background is evident this is Rohr’s attempt to put down his own convictions. It would be a helpful summary for both new readers and others who have read his earlier material. what’s left to hold onto? 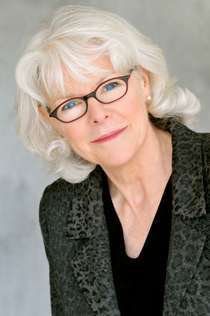 Barbara Brown Taylor writing in her latest book Learning to Walk in the Dark. She is describing an experience more common than is admitted among church-goers. We have created our little churchy Edens, but they have become places to hide from God. So we walk away and wonder what will happen next. 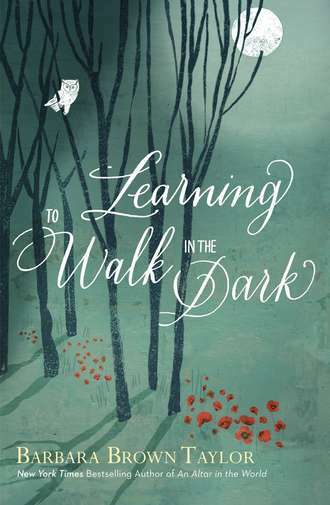 I have been asked to review the latest book ‘Learning to Walk in the Dark’ by American priest Barbara Brown Taylor for the Baptist Times. It will be done shortly. She was on tour in this country this month, bringing with her a reputation as a gifted preacher. No other modern public speaker does what the preacher tries to do. The trial attorney has glossy photographs and bagged evidence to hand out; the teacher has drawing boards and projectors; the politician has brass bands and media consultants. All the preacher has is words. Climbing into the pulpit without props or sound effects the preacher speaks to people who are used to being communicated with in a very different ways. And whose feet will you wash? The man with tired eyes lingers with his question hanging in the air. His friend continues to walk away and does not reply. His mind is made up. He seeks a purer life than can be found in the city. The desert beckons. For a moment he closes his eyes, maybe he is in prayer and then stroking his long beard the man with the tired eyes turns indoors. 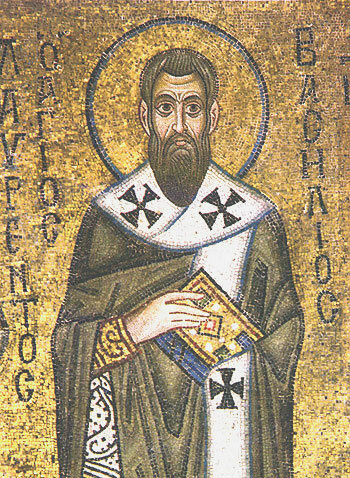 Later he would enshrine his question in a Rule for Christian living which he would offer his flock as their Bishop but for that moment it was part of a painful encounter. I do not know whether it happened this way. Sara Maitland who introduced me to the question in her book A Book of Silence suggests that Basil, the man with the tired eyes asked the question in irritation as he watched another parishioner wander off into the wilderness. I do not know whether this was how he felt any more than she might but it is a powerful question.